The very first International Nooruddin Cricket Tournament was held on 29 November to 2 December 2018 in UAE. 5 Teams participated in this tournament: USA, England, Dubai, Sharjah and Holland. The England team, which consisted of a 15-man squad, won the tournament and remained unbeaten throughout. During the group photo, Huzooraa asked whether this team would participate in the upcoming Masroor Cricket Tournament. 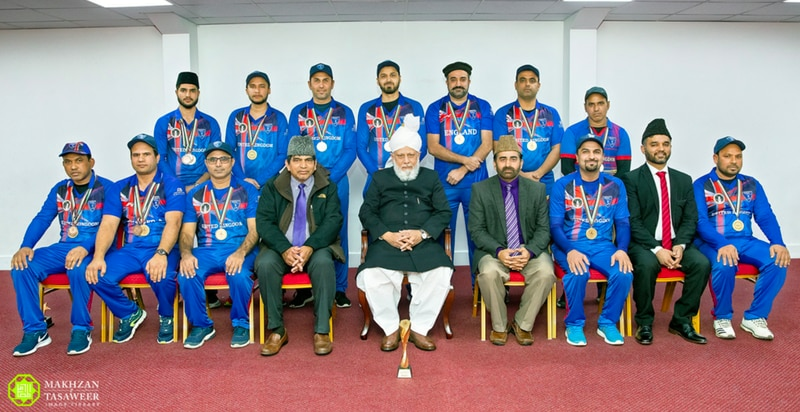 Rana Khalid Sahib, manager of the UK team clarified that this team was built up of players from different teams of the UK Masroor Tournament team, for example England A, England B, AMJ 11 and Omair 11.